Korean designer Jiyoun Kim has launched his latest design named the Lightning Lamp, at the London Design Fair. 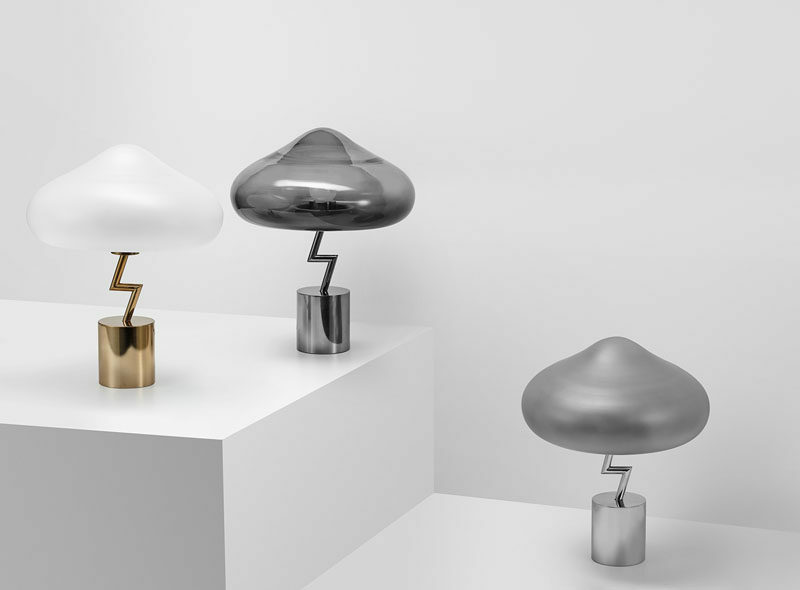 The designer explains that his inspiration for the collection of table lamps comes from an old Korean phrase – “Being struck by a thunder out of blue sky” – which describes people confronting unexpected catastrophic events. 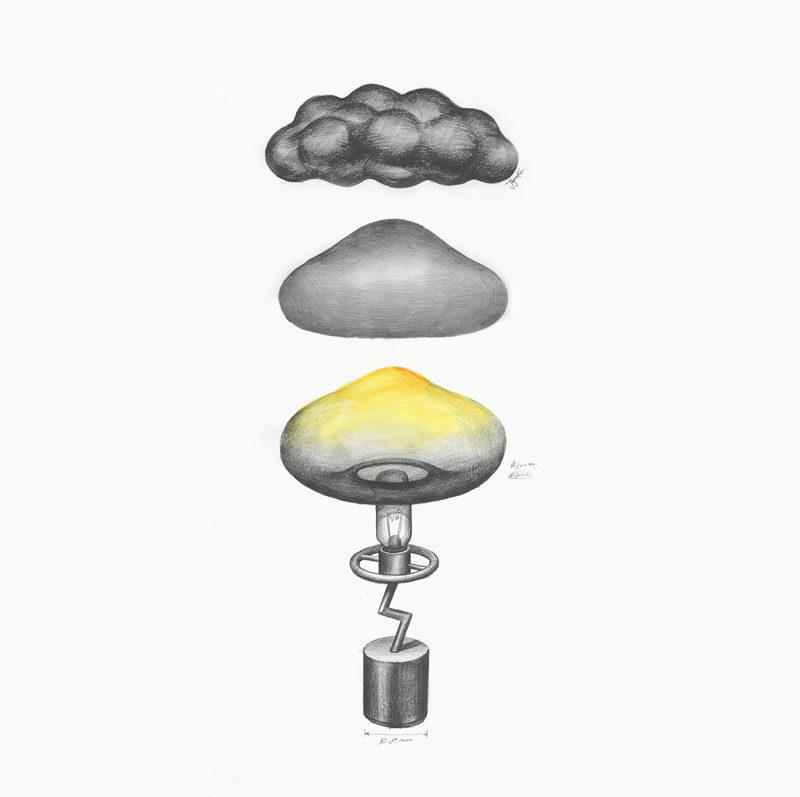 Once the designer decided on a design of a lightning bolt traveling from a cloud down to the ground (or base of the lamp), he worked with glass blowers to come up with the shape of the cloud. The finished table lamp has a stainless steel neck of the lamp, or lightning bolt, that holds the glass cloud. 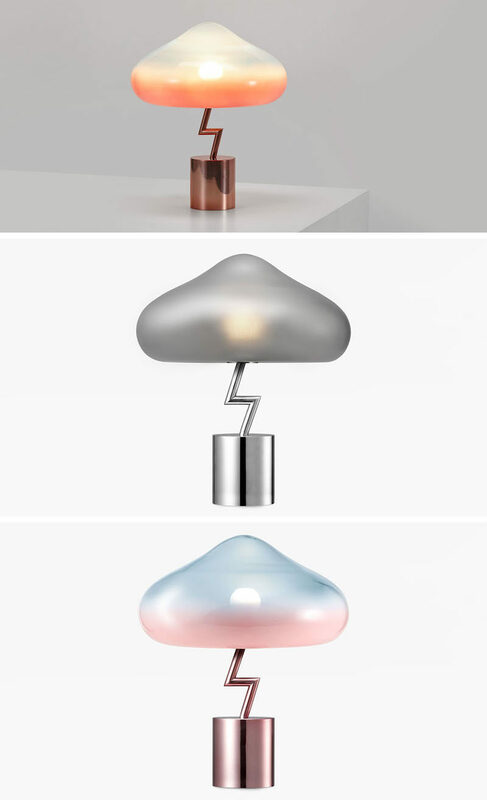 Taking into account the richness in colors that we observe in the sky, the Lightning Lamp is available in four different color clouds that reflect the skies at different times of the day, like daytime, early morning, midnight, and sunset.